About a month ago, I stepped into Waterstones near Charing Cross and saw this book in the 'Best of British' section. 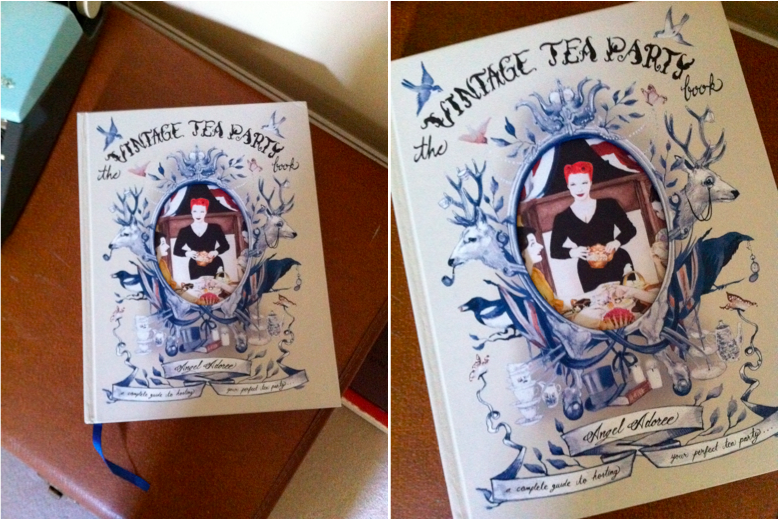 The pictures on the cover caught my eye, from the stags wearing monocles to the array of china teacups and cake stands! It was a little bit out of my price range, so I just told myself i'd treat myself another time. Lately, I've noticed that it's been popping up more and more on blogs without a bad word being said about it. So yes, I bought it. 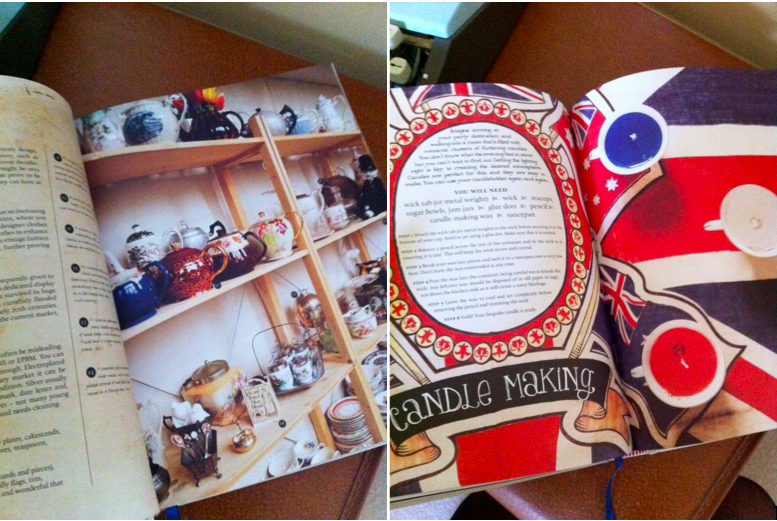 I don't think i've ever actually bought a recipe book for myself, but this one is different. Not only does it include delicious ideas, from breakfasts to alcoholic drinks, it also has beauty, fashion, and craft tips! I'm always getting told by my family that I must live in a sort of dream world that no one else is a part of, this book just immerses me into it more, and will not fail to every time I open the cover! It just makes me wish that I lived in a world where every meal was classed as being a 'tea party', with hand designed invitations, pretty porcelain and hand made decorations! Just yesterday, me and one of my friends set up a Tea Society at our University, so I'm going to have to have a dab at some of the recipes in here. It may take maybe two (dozen) attempts though for the presentation to match those showcased in here! I tend to be pretty sloppy! I would definitely recommend this to anyone, I don't understand how anyone could not like it? !